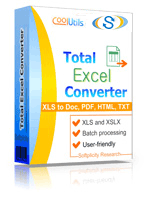 Convert TSV to XLSX spreadsheet files online and without ads! Try a TSV to XLSX Online Converter or take a batch Tool for more! Description TSV facilitates exchange of tabular database between utilities using a variety of extensions. TSV files look like textual tables and are compiled of records (lines), which, in turn, are made up of fields. Each field forms a succession of characters, except TAB symbols, which serve as field separators. The top line is indeed the header, since it sets names for each field and defines their function, and the remaining lines have as many fields as the top one. TSVs can be rendered in utilities designed for creating databases and electronic tables. These materials can be conveniently exported to Excel. Description XLSX is a format from Office Open XML family, a native MS Excel file type starting from version 2007. As opposite to XLS, this format uses ZIP compression that makes XLSX files smaller in size. Actually XLSX file is an archive of XML-documents. The cells in XLSX table can contain plain text, formulas or graphic elements. XLSX can be read in MS Office 2007 and later, Universal Viewer, OpenOffice, MS Office Excel Viewer, Corel WordPerfect Office. This format doesn’t support macros.